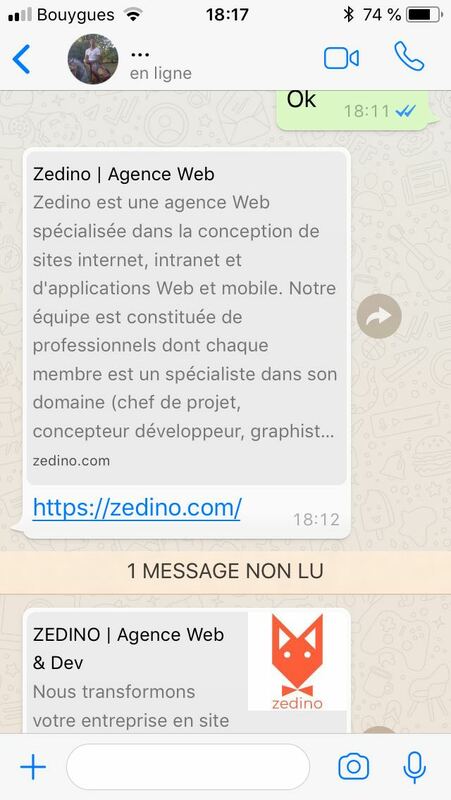 The Facebook linter validate correctly and in Facebook it shows perfect, but when I try to share by WhatsApp the image doesn't show. You can see these meta tags in action on for example Google Maps. After you have changed your meta tags, you might need to wait a while for possible caches to update. If you can see all your tags there, then the sites/apps where your tags are not showing properly might have different requirements for Open Graph tags. If you are going to specify an image by a HTTP-Secure link, you need to use og:image:secure_url instead of og:image. You also need to specify og:type as it is one of the four base required parameters. <meta property="og:type" content="website" /> should get you in the right direction. I had the same issue and the problem was the size of the picture. Whatsapp doesn't support picture with a size greater than 300KB. 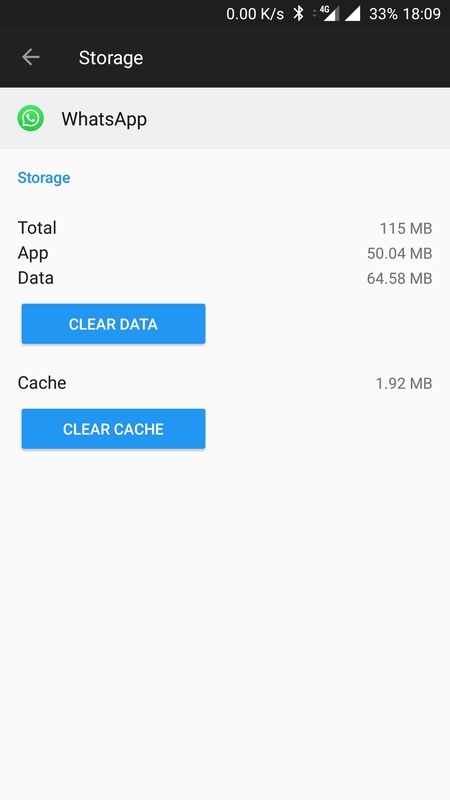 Clear your whatsapp data and cache (or use another whatsapp) ! Android Phone : Go to SETTINGS > APPS > Application List > WhatsApp > Storage and Clear Data. Be careful ! Backup your messages before this action. For all still having this problem and as for me none of the posted solutions worked out. I've had the similar issue. The image was showing correctly in all other share dialogs. 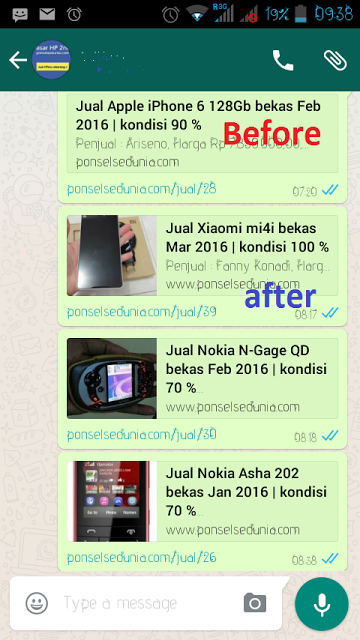 Only WhatsApp couldnt display the image, even though the facebook debugger has the og:image tag correctly. I used this URL in the og:image meta tag. It worked for Facebook etc., but it seems like WhatsApp couldnt download the image from this URL. Instead you need to include the image in your project directory and use this link for the og:image tag. Now it works properly in WhatsApp too. I documented the perfect detailed solution here - https://amprandom.blogspot.com/2016/12/blogger-whatsapp-rich-link-preview.html There are seven steps to be done to get the perfect preview. Title : Add Keyword rich title to your webpage with maximum of 65 characters. Meta Description : Describe your web page in a maximum of 155 characters. og:title : Maximum 35 characters. og:url : Full link to your webpage address. og:description : Maximum 65 characters. og:image : Image(JPG or PNG) of size less than 300KB and minimum dimension of 300 x 200 pixel is advised. favicon : A small icon of dimensions 32 x 32 pixels. In the above page, you have the required specifications, the character limit and sample tags. Do upvote once you find it satisfactory. Take note of the imgURL that should be hosted from same domain, or it will not show up on whatsapp. I tried loading a url from amazon, image preview is not working. I don't know about the minimum number of meta tags required to work on whatsapp, found this in somewhere and this worked for me flawlessly. Note: Image resolution is 256 x 256. You only need to type the message with "http://" at the start. For example: http://www.google.com shows the thumbnail image, but www.google.com no. Note: If you are using English content, no need to add this meta tag since English is the default value. Not the answer you're looking for? Browse other questions tagged android html opengraph meta-tags whatsapp or ask your own question. How whatsapp messaging reads website url like the facebook open graph protocol? How to properly create an Intent to refer like Tez? How can you provide WhatsApp a picture to show next to an URL? How to share this link on whatsapp with it's thumbnail image? open graph tags doesn't work for me?